If the amazingly good weather Barcelona has enjoyed in the first few months of 2016 continues into June, clubbers heading to the city for Sónar 2016 will definitely want to party outdoors. A major highlight of this year’s “off” events during Sónar is sure to be the Off at Fòrum festival, which fits the bill perfectly. 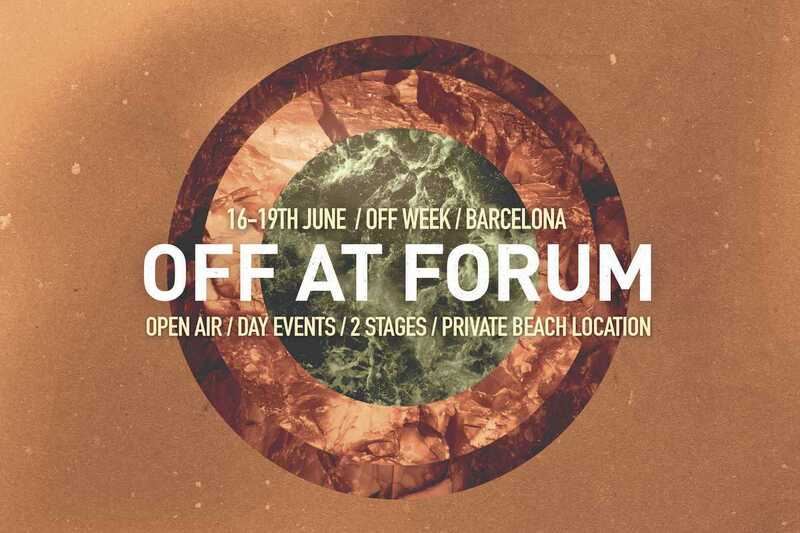 Off at Fòrum takes place over four days from mid-afternoon on June 16th to the 19th at Parc del Fòrum in Poblenou. As well as being a superb open-air venue, Parc del Fòrum includes a seafront beach and pool area, and these will be enhanced with food and chillout areas. Reflecting the diversity of the Sónar vibe, the stages will be hosted by some of the finest electronic labels and collectives. Among the 56 names on the collective bill there a few very special guests too, notably the renowned Nigerian drummer Tony Allen who will be playing with Crew Love on Friday. Advance tickets are essential for all days, with the early releases already selling fast.